Congratulations! You just had your carpets cleaned with Zerorez Oklahoma and they look, smell & feel brand new again. While you enjoyed your experience working with us, we assume you would like to prolong the time between your next cleaning. Follow these 4 helpful tips below and you will be able to maintain your carpets in-between cleaning! Door mats will reduce the amount of dirt & debris that is tracked into your home and inevitably into your carpets. Invest a few dollars to get a doormat for each door that leads outside and you will expand the life & longevity of your clean carpets! Ok, daily may sound a bit extreme, but if your goal is to prolong the time between carpet cleanings then you will want to consider making vacuuming a daily chore! 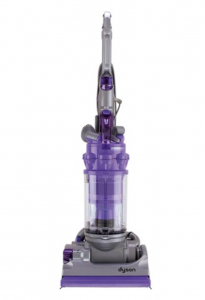 Vacuuming picks up the dirt before it has a chance to sink and settle into your carpets. 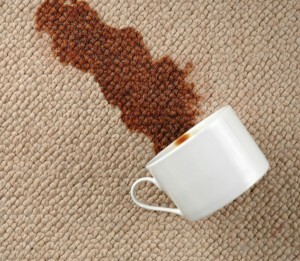 To prevent a spill from becoming a stain, you will need to clean spots & spills immediately before they absorb into the carpet. This will also help reduce the bacteria & other problems that come from moisture in your carpets. With this being said, you should not use products with harsh chemicals and additives. 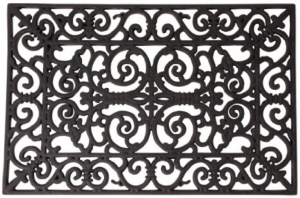 Most of the time, these end up masking the spot with odors and causing dirt to stick even more. If you can’t get the stain out with simple solutions like club soda & vinegar, then reach out to us and we would be happy to spot clean for you. Sound weird? 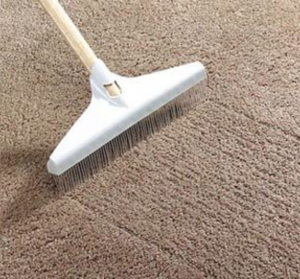 Over time your carpets become impacted due to constant traffic, so you should really invest in a carpet rake to groom your carpets on a regular basis. These are available at stores like Home Depot and even on Amazon.